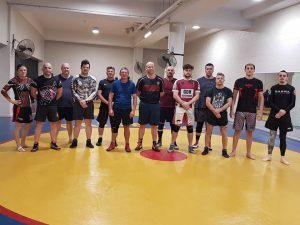 Thanks to everyone who gave up their weekend for the Wrestling coaching course at Lang Park PCYC. Some travelling a very long way to attend. 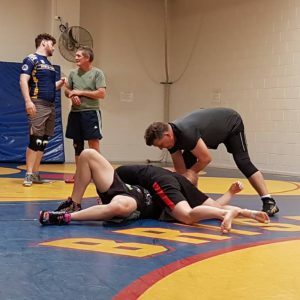 It’s great to see so much enthusiasm for grass roots Freestyle Wrestling in Queensland. 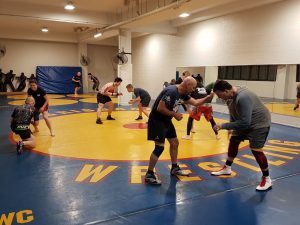 The Level 1 Coaching Course is nationally recognised under the NCAS and presented by Wrestling Queensland Inc. 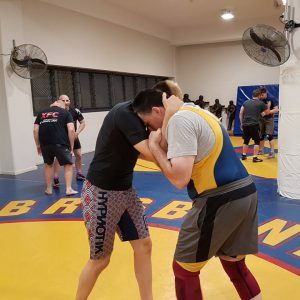 The course is suitable for people new to coaching and the Olympic styles of Wrestling and is the first step to becoming certified as a Level 1 Wrestling coach. 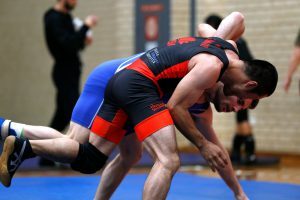 Congratulations to all our Lang Park PCYC Wrestlers who competed at the 2018 Youth and Senior Nationals in Perth. Caleb Short (35kg 10-11 years) and Liam Neyland (65kg Senior Freestyle) both took Gold medals. Jessica Lavers-McBain (53kg Senior Freestyle) and Tehi Nicholson (59kg 14-15 years) won Silver medals. Copyright © 2016 - Wrestling Queensland Inc.